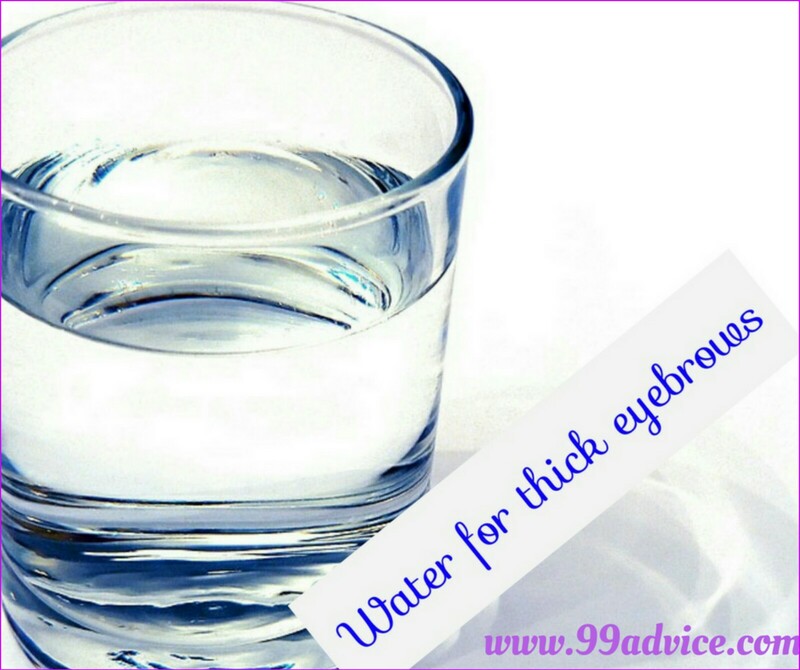 Home Beauty Gallery How to Make Eyebrows Thicker Naturally? How to Make Eyebrows Thicker Naturally? These eight home remedies, including petroleum jelly, aloe vera, and lemon, can get thick eyebrows, learn how?? During the last few years, big and bushy brows have become a rage. The most recent brow trend has replaced skinny or pencil-thin brows. Your eyebrows make the frame of one's face. Bold, properly-shaped, and thick eyebrows can enhance your general look. Thin eyebrows are generally due to over waxing, threading, or plucking. It might also occur as a result of harmful chemicals of makeup, aging, or health conditions. Eyebrows are an important part of your facial beauty. The very thin or thick eyebrows do not give a good impact on your face. Many people go to the parlor to maintain the shape of eyebrows. Nowadays, the keeping of a thick eyebrow is on trending in facial beauty. If you are thinking for making your eyebrows thick, then you can be used a natural method for it. These methods are completely safe and effective in use. 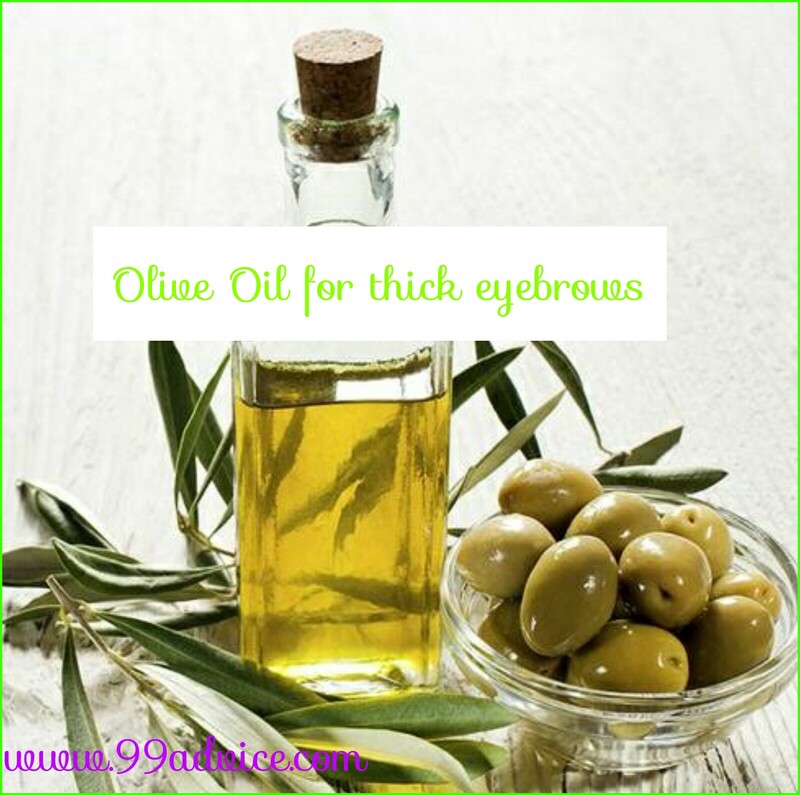 Despite the fact that we've many ways on how to make eyebrows thicker, we primarily think about the natural home remedies as they cannot harm or results with side-effects. Before we begin, remember these methods will require time and patience. Thick eyebrows don't happen overnight, and you could have to wait a couple of weeks or a few months to see the outcomes. 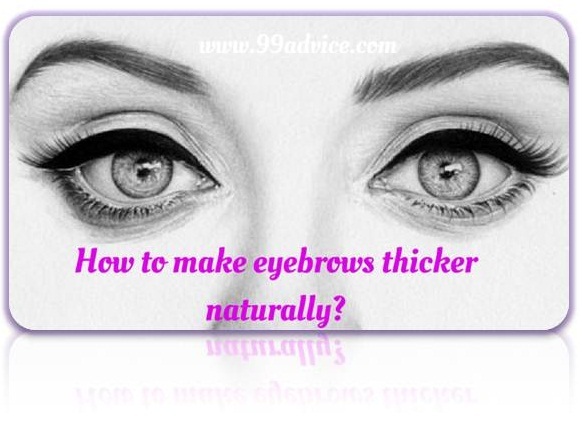 So let's know that what's are the natural way of making thicken the eyebrows? 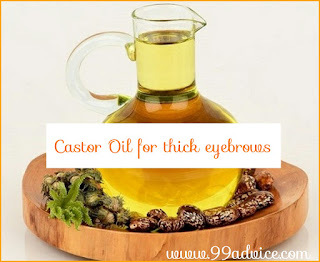 Castor oil is the ancient way to get thick eyebrows. It is more probable to be effective in use. For this, castor oil should be applied to eyebrows every day. Most of the body problems can be solved by the water. Drinking too much water can also prove beneficial for thick eyebrows. Drink at least 6-8 glasses of water throughout the day can be beneficial. 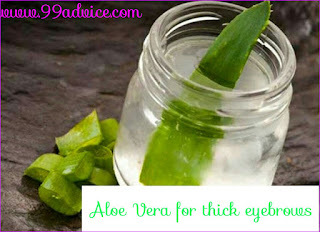 Regular use of Aloe Vera gel on eyebrows helps in increasing the eyebrows. For this, you can buy it from the market or get directly from the leaves of Alovera. Rub lemon pieces on the length of the eyebrow. 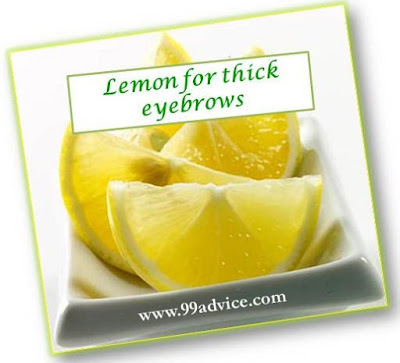 From this, you can get a thick and beautiful eyebrow. The sufficient quantity of sulfur is found in the onions. It maintains the proper flow of blood. 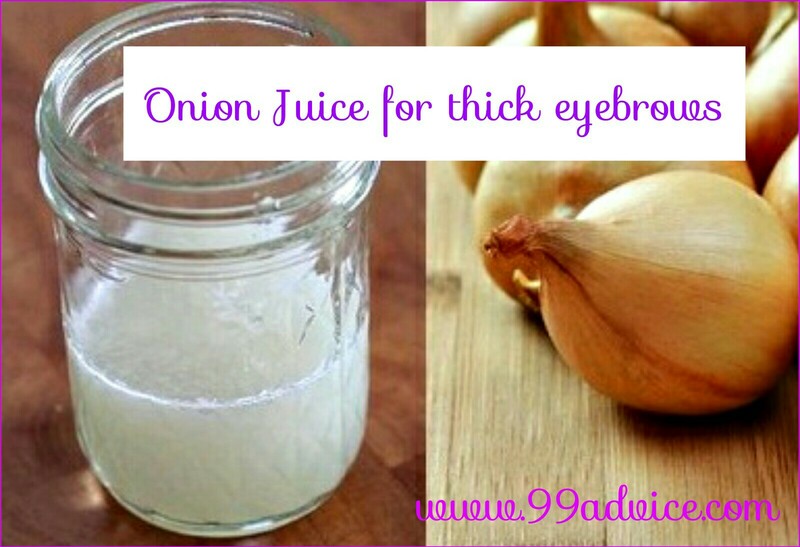 Applying onion juice regularly on the eyebrow hair, soon you can get thick eyebrows. Olive oil is an effective home remedy for getting thick eyebrows. By applying this, the eyebrows' hair increases rapidly. Apart from this, it is also effective in bringing eyebrows in shape. The benefits of using coconut oil to enhance hair growth are well known. 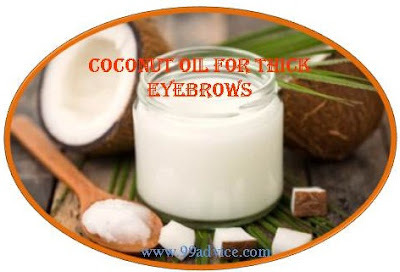 If you want a thicken eyebrow, then using coconut oil can be a better option for you. From this, the eyebrows' hair increases, as well as its shape, also becomes good. 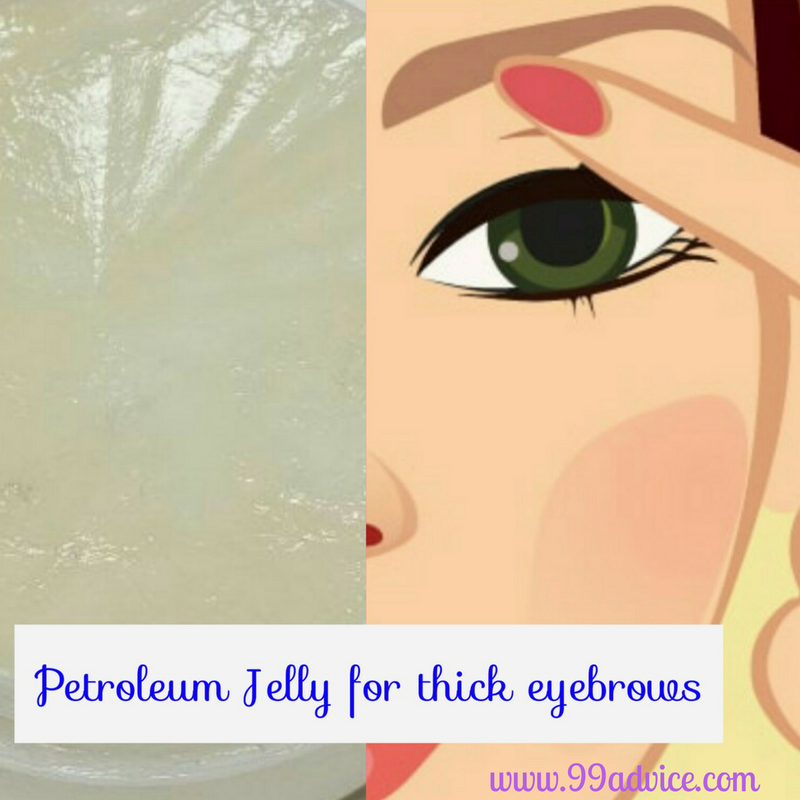 By applying petroleum jelly on eyebrows, it completely remains moist. So in this way, your eyebrows' hair becomes straight and strong. For better results, petroleum jelly can be used to eyebrows two to three times a day.